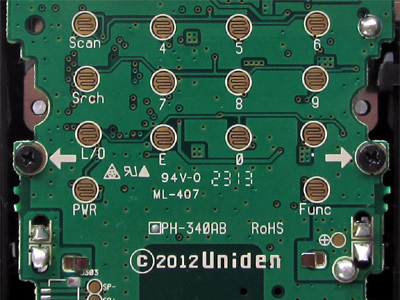 The UBC125XLT and its US equivalent BC125AT are modern scanners, that combine a broad frequency range with many functions. 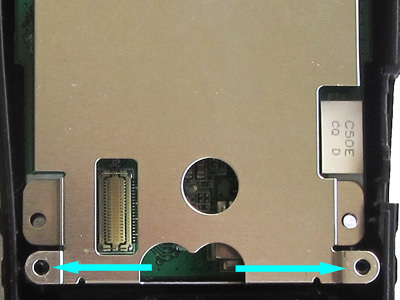 The scanner can be opened by removing 6 screws. 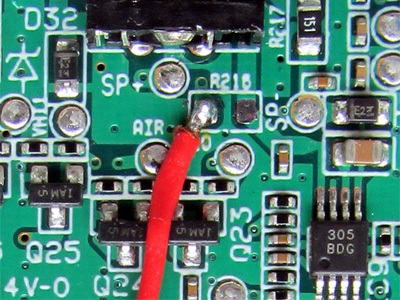 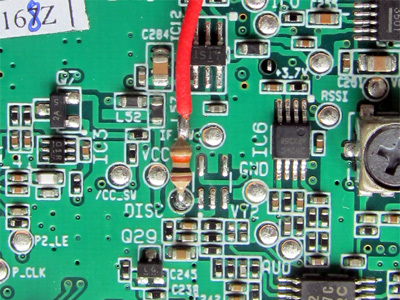 The circuit board containing the key contacts and the display can be removed by unscrewing 2 screws as indicated on the board. 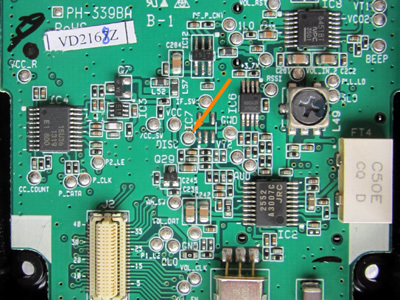 To access the receiver board, detacht the metal shield by removing another two screws. 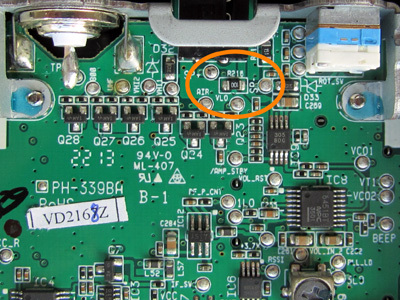 This SMD resistor has to be removed..